After running through the scorching sun, I took a break to let my feet cool down and to take a photo at one of our survey sites. This weekend has been a wonderful example of the diversity found here in Los Angeles. On Saturday, I went on an adventure with Carla to visit the west side survey sites I will be monitoring during my time with LA Audubon. The sites are for surveying Least Terns and Snowy Plover nesting sites. For the second time, Snowy Plovers have made a nest in the LA area (Malibu Lagoon to be exact), and we hope more will decide to nest here. We also looked at enclosures where we hope Least Terns will nest later on in the season. We are lucky we get to survey the cutest birds! Least Terns are not only cute, but have made a comeback from endangered to threatened status. In 1973, their population was at their lowest at 600 Least Terns. In 2005, their population was surveyed to be at around 7,100 pairs, and since then it is believed their population has doubled. Of course there is still work to be done, but LA Audubon and organizations like it have taken some measures to create viable habitat for nesting colonies. I hope I get to see some colonies this year! It would be really cool to see their mating rituals as well. Least Tern males perform elaborate aerial displays, and offer fish to their possible mates. Once they are successful, they nest in sand, much like Snowy Plovers. The next day, I started the bird monitoring project in the Angeles National Forest. I joined Sue, Carlos, Lauren, Cindy, Tania, Paul, and Carla on a songbird survey up in Bear Divide Vista Picnic Site. At the site, we divided up into three groups. 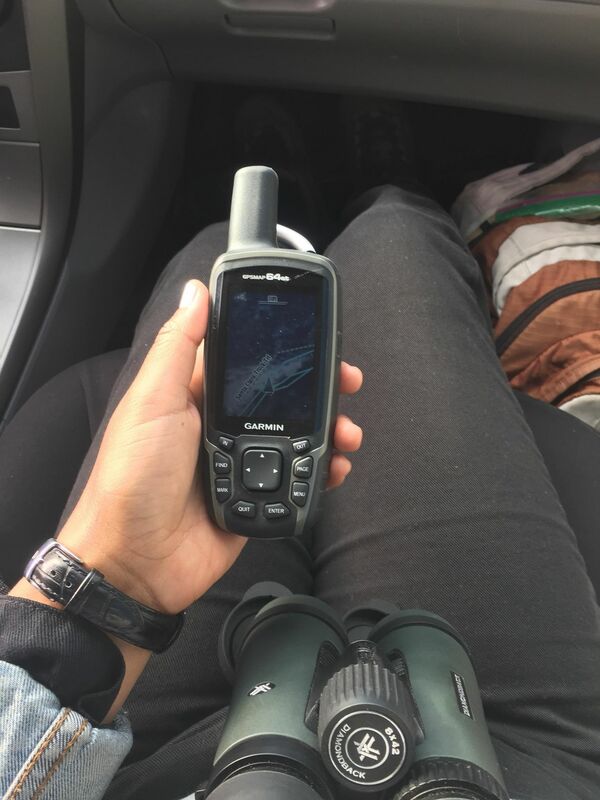 I learned how to use the GPS to find our 15 surveys points, and I became familiar with the project habitat, common birds, and data sheets.